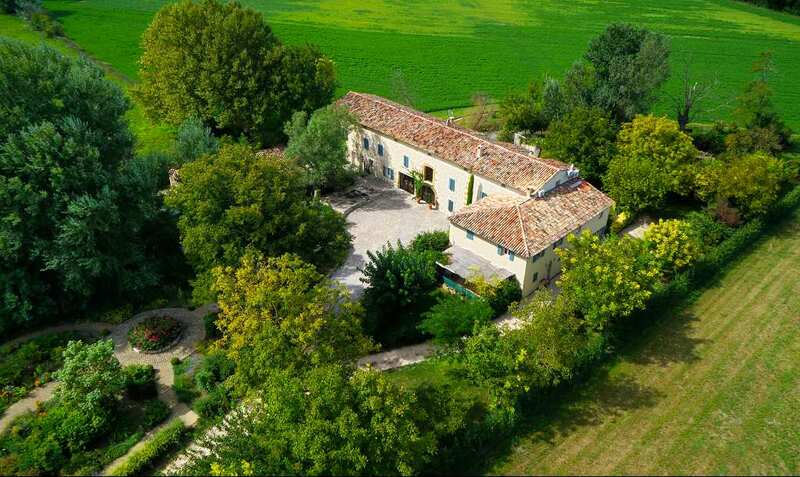 In the countryside, close to Isle Sur La Sorgue, this beautifully restored property is ideal for a large family or to consider a high-end B&B activity. The house, of nearly 1000m2 of livable space, has very beautiful reception rooms on the ground floor, 8 bedrooms including 3 en suite on 1st and 2nd floors. Beautiful SPA area with hammam, sauna, sensory shower, jacuzzi, swimming pool, and massage room. A guardian’s house of 110m2 with 3 bedrooms, a professional kitchen, a garage and a pool house round off the set .. Wooded and enclosed park of 1 hectare, bordered by the river and swimming pool. High quality materials underlines the beauty of the volumes and the unique character of this building. A great value. Contact us for more details.